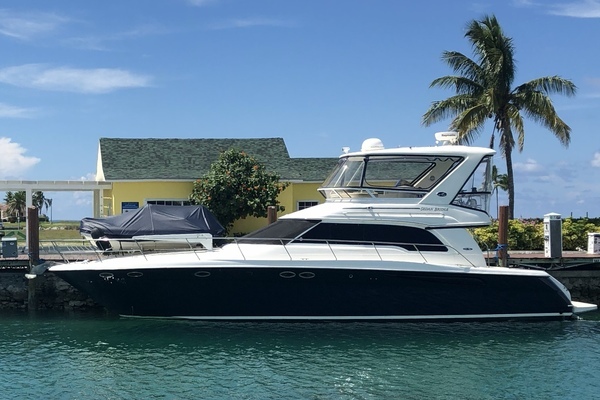 MYSTIQUE is a 2017 Sea Ray Sundancer that was delivered in April 2018 with a remaining 3 years of Sea Ray warranty after the delivery date, she is nearly brand new and by far the strongest Sea Ray 59 Sundancer on the market today boasting nearly every available option with many upgrades. Meticulously kept by a long time Sea Ray owner who is moving on to a different boat. This is a great opportunity for anyone looking for a nearly new Sea Ray L590. Located at Marco Island Florida.